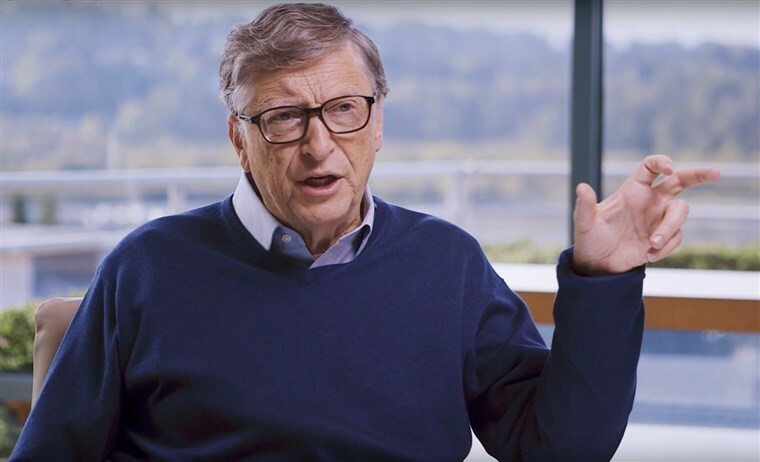 Microsoft founder Bill Gates is a man on a mission – he has also founded a billion dollar energy fund with sole purpose of fighting climate change. Gates is definitely not pro-hydrocarbons. But he is a realist. And he’s not optimistic about wind and solar renewable energy as a solution to climate change. This is obviously a very, very smart man and he is very much on board with the idea that climate change is a dire problem for the world. Yet Gates has recently offered a harsh reality check on the current state of renewable energy if there ever was one. As of today Gates believes that realistically solar and wind are still in need of an order of magnitude improvement from where the technologies currently are for them to be a reliable source of power. In fact, I’ll show you later in this story how the use of renewables is actually increasing the amount of natural gas used – as back up for all that unreliable but politically correct solar and wind based power! Gates’ full comments on renewables (36 minutes long) are at this link. Pay special attention when Gates is asked a question at the 8:45 mark. It isn’t often you get to see a man with $100 billion get agitated. Gates is asked if he’s optimistic about the cost of wind, solar and battery storage coming down really extremely fast, and if renewables will soon be ready to assume the mantle of Primary Power Provider? Gates says putting a carbon tax on businesses will not mean that renewable technologies will quickly improve. Gates views this as ridiculous. His view is that there is no way that we can rely on wind and solar if those power sources aren’t even close to being reliable enough to do the job. Even financial incentives in the power sector don’t magically create technology miracles. Gates uses terms like “Monster Miracle” and “Order of Magnitude Improvement” for renewables to supplant hydrocarbons. Everyone knows the problem with wind and solar power is that they are intermittent and unreliable. If the sun don’t shine and the wind doesn’t blow… you are out of luck. Renewables can’t carry the ball alone. They need a backup… a pinch-hitter to come in and do the heavy lifting at crunch time. That pinch-hitter is natural gas. The US government’s EIA just detailed that natural gas powered reciprocating internal combustion engines (that’s a mouthful!) are getting a lot more popular. That’s because utility operators that use renewables as part of their power generation are steadily turning to this type of backup generator. Normally these reciprocating engines are used only for emergencies. Now they are being used on a regular basis to step in when the sun isn’t shining and the wind isn’t blowing. Advancements in engine technology and scale is allowing utilities to increase the role of these reciprocating engines. Having US natural gas prices cheaper than dirt also helps. Before 2010 reciprocating engines typically had no more than 9 MW in capacity. In recent years, larger units that range from 16 MW to 19 MW have been installed throughout the United States. As you would expect – power plants with large reciprocating engines are often located in states with significant renewable resources and in particular wind generation. Texas, which has the most wind electricity generation capacity in the country has 910 MW of natural gas-driven reciprocating engines. That is 20% of the national total (4,642 MW). Kansas (564 MW) and California (398 MW) also with large amounts of renewable generation have the next highest capacities of reciprocating engines. These utilities can’t rely solely on renewables and natural gas is becoming the “go-to” backup. How Do Renewables Become Capable Of Taking The Starring Role? Renewables may work at some point, but the business model and the technology is not there right now to make them even close to being economic. Most environmentalists are ready to simply assume that the order of magnitude change in technology will happen quickly… that is a giant leap based on nothing more than hope. To a rational mind like Bill Gates, that is a reckless assumption to make. Gates has actually said that the environmentalists who are convincing the world to believe that wind and solar alone are going be the solution to climate change are more dangerous than the people who deny that climate change even exists. That probably doesn’t win Gates many friends amongst environmentalists, but he isn’t in this to win friends… he is looking for a solution. So how do you think renewables can play the most efficient role in North American power markets. Send me your thoughts on what could be done now to include renewables better in our power mix, or even make them the star of this show? Send me an email at editor@oilandgas-investments.com and we will republish a mix of the best suggestions.